Feel free to test drive one of our 80 new Toyota Camry cars today at our dealership, right by Mission Hills! 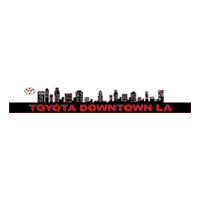 If you’re looking for a dependable and well-equipped midsize sedan in the Cerritos area, the all-new Toyota Camry is a must-see model, and you can find it now at Toyota of Downtown LA. Our staff is happy to help you compare the Camry LE to the Camry SE, the Camry to the Corolla, and more. Feel free to take advantage of our special offers and incentives, while you’re here. Take the drive from West Hollywood to see us today. Contact us with any questions!